Maximum withdrawal at CasinoJEFE: €2,000 to €20,000 depending on the payment method. Withdrawals of more than €20,000 could be divided into 10 installments within a span of 10 months. Withdrawals of more than €2,300 will be asked to provide additional verification. Withdrawal fees: First withdrawal is free but succeeding ones will be charge 3% or €2.5 to €25 depending on the payment method. Deposit fees: 2.5% only for VISA and MasterCard. The rest do not have a fee. Withdrawals with CasinoJEFE will vary depending on the payment method. The fastest option is Moneta because it is processed immediately. The longest is VISA and Instant Banking – which will take up to 5 days to complete. The rest will only take 24 hours to process. Deposits at CasinoJEFE, regardless of the payment method, will be processed instantly. 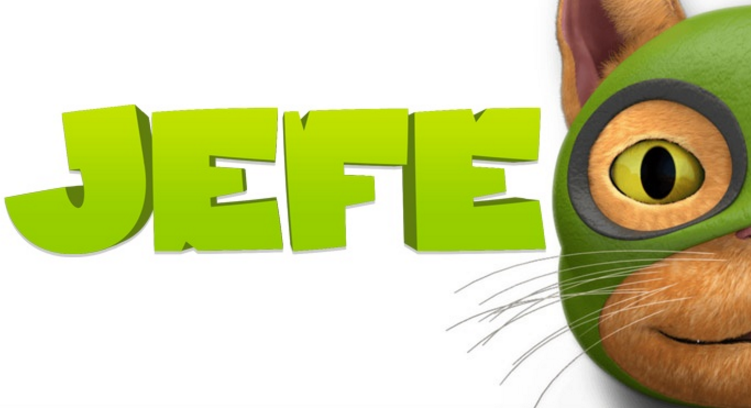 CasinoJEFE seems like a cat lover’s paradise because of the theme they have chosen for the online casino. But that does not mean it is exclusive. Regardless if you love cats or not, you will surely enjoy the multiple NetEnt slots and the various online casino games. These can be played through a desktop or mobile phone. Of course, the thrill of playing online casino games is in knowing that you can withdraw the prizes that you will win. In order for you to do that, you need to learn how you can deposit and withdraw your money in CasinoJEFE. But before all of that, you need to have a registered account first. This has to be done through LuckyDino.com. You need to come up with a username and password that should be kept confidential and secure. You will also provide your personal information like name, address, and other contact details. After that, you have to go through a verification process to prove that you are who you say you are and that you are of legal age. This can be done by submitting official documents like a passport or utility bill. To make a withdrawal from your account, you simply have to log into your registered account. Click on your account so you can choose to make a withdrawal. You will then select a payment method. Ideally, it should be the same method that you used when you made a deposit. If that is not possible, it has to have the same details as your registered account with CasinoJEFE. Take note that the processing time of withdrawals will vary depending on the payment method you have selected. Not only that, you may be asked for additional verification if you will be withdrawing more than €2,300. There will be fees but it will only take effect when you make more than one withdrawal on the same month. That means the first withdrawal is free. Obviously, you cannot make a withdrawal without making a deposit first. You need to do this if you want to play for real money. To make a deposit, you need to log into your account. Choose to go to your account page so you can select the deposit option. You will then choose a payment method that should have the same information as the one in your registered account. When you are making a choice between the different payment options, remember that this should allow you to make a withdrawal as well. This will help keep the withdrawal process easier in the future. There may be times when you will be asked to verify your identity. It may be tedious but this is for your own protection. It will keep unauthorized transactions from happening. If you have questions about your financial transactions in the site, you will be happy to know that it is easy to get in touch with their helpful customer support. They have a live chat support that can give immediate feedback – but this is only available during business hours. In case you encounter problems outside of the business hours, you can send an email and expect a response the next day. In terms of the information that you are providing, you do not have to worry about it. CasinoJEFE installed state-of-the-art technology to ensure that all data is kept secure. There is an SSL encryption on every page of the site and this ensures that data will not be compromised by a third party.